Scientists are proposing a new "hydricity" concept aimed at creating a sustainable economy by not only generating electricity with solar energy but also producing and storing hydrogen from superheated water for round-the-clock power production. Sun energy can be harnessed using two ways. The first one is by means of photovoltaic cells, or those commonly found in rooftops. 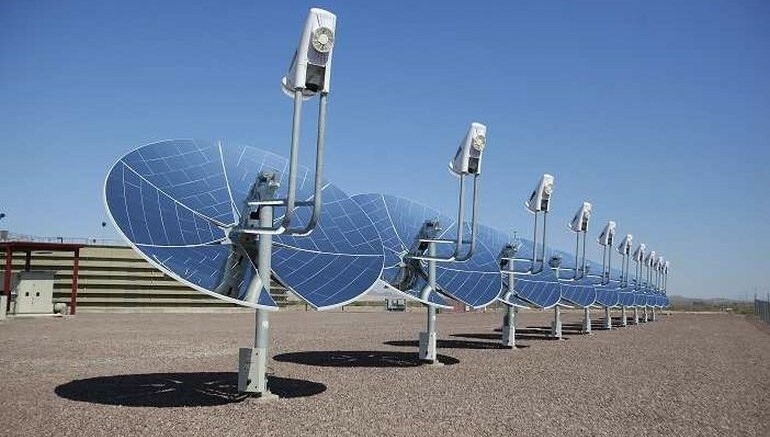 The second way is by means of solar thermal plants, which concentrates Sun’s rays to heat water and use the steam to drive turbines and produce electricity. The latter method requires lots of solar spectrum, and is less efficient. It can only work using direct sunlight, and once the Sun is out, there’s nothing you can do about it. So hydricity can take over on this process. Combining solar thermal power plants with hydrogen fuel production facilities, it can be maximize to produce electricity round the clock. Using an integrated system, it can both use steam for generating immediate electricity, and hydrogen for later use. Using hydrogen, it can make turbines work so as to produce electricity. So when the sun is out, hydrogen jumps into the scene. So there is no need to operational distractions. Scientists, including those of Indian-origin, have proposed a new “hydricity” concept for round-the-clock power by not only generating electricity from solar energy but also producing and storing hydrogen from superheated water. “The proposed hydricity concept represents a potential breakthrough solution for continuous and efficient power generation,” said Rakesh Agrawal from Purdue University in US. “The concept provides an exciting opportunity to envision and create a sustainable economy to meet all the human needs including food, chemicals transportation, heating and electricity,” he said. Hydrogen can be combined with carbon from agricultural biomass to produce fuel, fertilizer and other pro ducts. “If you can borrow carbon from sustainably available biomass you can produce anything: electricity chemicals, heating, food and fuel,” said Agrawal. Hydricity uses solar concentrators to focus sunlight producing high temperatures and superheating water to operate a series of electricity generating steam turbines and reactors for splitting water into hydrogen and oxygen. The hydrogen would be stored for use overnight to superheat water and run the steam turbines, or it could be used for other applications, producing zero greenhouse-gas emissions, researchers said. In superheating, water is heated well beyond its boiling point -in this case from 1,000 to 1,300 degrees Celsius -producing high-temperature steam to run turbines and also to operate solar reactors to split the water into hydrogen and oxygen. “In the round-the-clock process we produce hydrogen and electricity during daylight, store hydrogen and oxygen, and then when solar energy is not available we use hydrogen to produce electricity using a turbine-based hydrogen-power cycle,” said Mohit Tawarmalani, professor at Purdue. “Because we could operate around the clock, the steam turbines run continuously and shutdowns and restarts are not required, as reported by TOI.